At first glance, The Alliance Alive bears a stylistic resemblance to a respected 3DS JRPG from 2015, The Legend of Legacy. Lo and behold, the combined forces of Cattle Call, GREZZO, and FuRyu are responsible for both titles. Heck, Atlus has even reprised its role as the North American publisher. 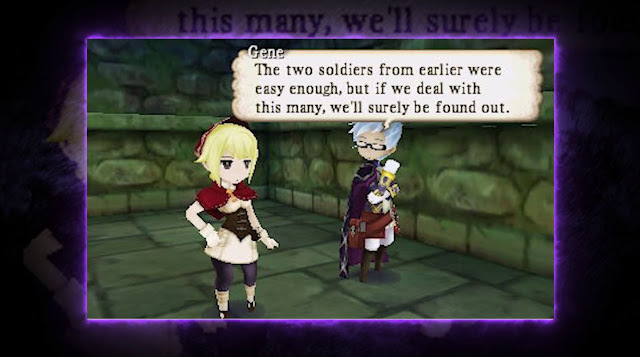 Despite all this, The Alliance Alive was not conceived as a sequel and offers its own identity by shedding, altering, and reinventing much of The Legend of Legacy’s design philosophies. Because this new identity draws inspiration and staff members from the Final Fantasy, Suikoden, and SaGa franchises, though, you know greatness is in store. Compared to how The Legend of Legacy placed a focus on discovering lore over traditional storytelling, The Alliance Alive balances a commanding narrative and meticulously polished JRPG mechanics. The end result is absolutely worth the shift in focus. 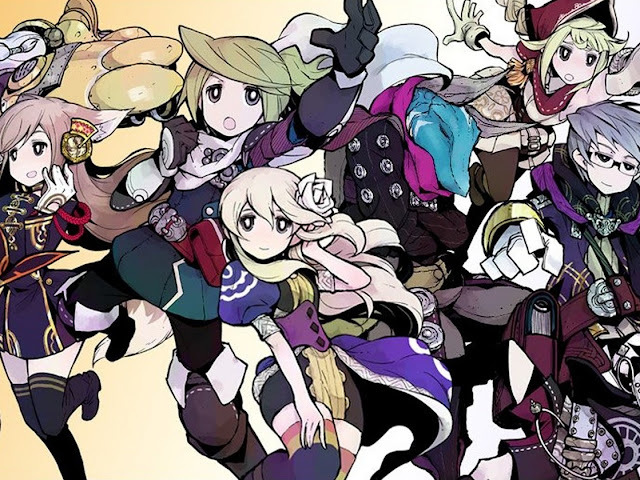 Using its opening minutes to full effect, The Alliance Alive rapidly establishes a plot with tangible potential and emotional stakes. Audiences are shown deliberately vague lore about how the human-inhabited earth was split and colonized by Daemons 1000 years prior to the game’s events. A strict hierarchy was formed with Daemons at the peak, Beastfolk as their “enforcers” of sorts, and the conquered humans at a distant third. Players are not informed about the reasoning behind any of this, nor are they subjected to an overly biased narrator’s moral interpretations. It is what it is. That impression shifts as players are plunked into the perspectives of Azura and Galil, two human youths grappling with the aftermath of their race’s subjugation generations later. Azura dreams of a world free from endless rainfall while Galil ponders her words in a more cynical light, giving viewers some insight into their characters. Even if you couldn’t read a lick of dialogue, though, the world's somber colouring and music juxtaposed against the game's own cutesy art style is enough to evoke passion. This gloom only escalates as the Beastfolk stance towards humans becomes clear. However, Azura and Galil’s father (biological and adoptive respectively) runs a hidden resistance force from within their Beastfolk-ruled human village, so all hope is not lost. Following a tragic event, it seems fair to write off the ruling races as corrupt authoritarians. Not long after, though, the story changes to the perspective of two Daemons, Vivian and Ignace. Vivian, a scholarly and polite fox-lady, journeys to a human village in pursuit of knowledge. Her loyal protector, Ignace, follows suit to clean up the consequences of her inquisitive nature along the way. The duo is far more amiable than prior events would lead you to believe, however. This process repeats recurs with two or three characters at a time before you have unrestricted access to the game's main party members. Expect to see humans, Daemons, and Beastfolk in the fold. These introductory segments provide potent character and world building and time to digest inter-character relationships. It’s not dissimilar to how EarthBound introduced Jeff and Poo, only on a larger scale. You’ll even find yourself hitting the same story notes as alternate characters, just with different perspectives of the same events. 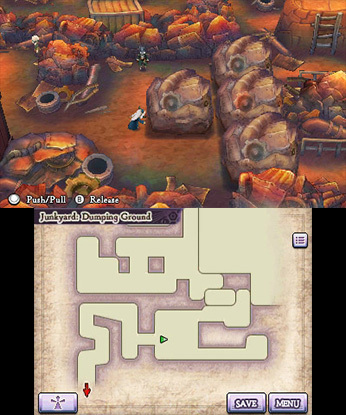 As an aside, The Alliance Alive uses its townsfolk to marvelous effect during all these establishing scenes. 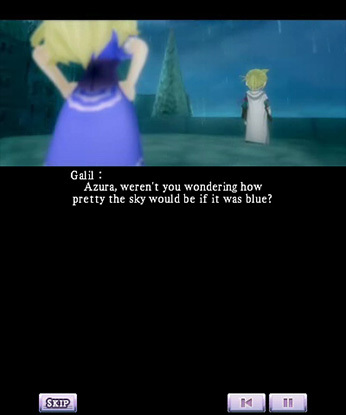 Some JRPGs are content using extraneous dialogue to dump combat tips or have wandering characters spout amusing rubbish. Here, the world's political structure and power hierarchy is constantly conveyed through the speech and mannerisms of the commoners. Conversations are tailored toward the race of the character you're controlling. Take control of the ruling Daemons and you'll witness anything from petrified groveling or awestruck denial of your existence. Guide a human and you're more likely to hear cautious advice from their kinsmen or smug gloating from their Beastfolk overlords. You'll still get those gameplay hints and wacky conversations, but they’re sandwiched between well-integrated world-building that drives home the game's central themes. There’s a sharp sense of the world’s pervasive fear and inequality. Once all the introductory stories conclude, you’ll have yourself a super group that seeks freedom and equality (an alliance that makes the world more alive). From there you can discover the world’s darker truths, explore the dreadful current that separates the worlds, and shatter the magic barriers that threaten parity. 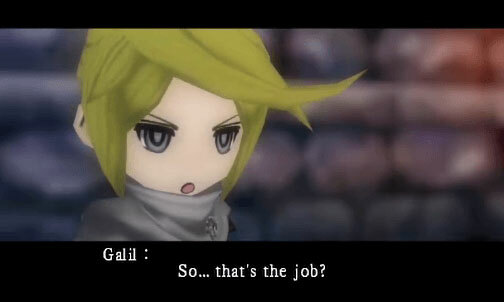 It’s then that The Alliance Alive really opens up. 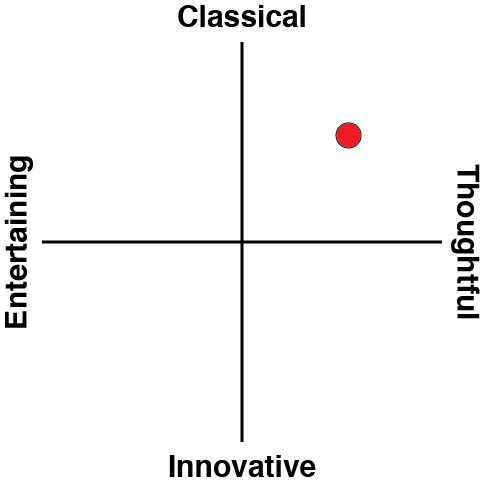 It becomes apparent that it is a glorious mishmash of all the classics. The specific execution of characters leaving their tiny world to traverse a vast, treacherous sea brings Final Fantasy III (the Famicom one) to mind. The battle system takes clear inspiration from the SaGa games with just enough changes to make it stand out. Players are also granted substantially more freedom than the aforementioned The Legend of Legacy ever did. There are criticisms to be made of the plot, particularly how a couple threads that are established early go woefully unused later. 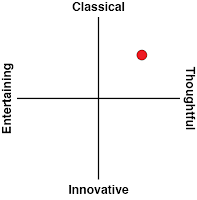 As a consequence, their potential thematic influence is undermined and the characters to which these elements pertain don’t branch out as much as they could have. As is, though, The Alliance Alive accomplishes a great deal, even when it comes to comedy. There’s plenty of clean fun to be had when Galil's pal gives him a hard time over his attraction to Azura. Seeing Tiggy, a human, treating the upper-class Ignace like her lapdog while Vivian plays cheerful peacemaker is a fun source gags but also underscores the classism the story is fixated on. The writers are tonally adept enough to integrate jokes into the script without distracting from the gravity of serious situations. The humorous segments work properly to enhance the bonds between characters, thus ensuring emotional investment at key moments. I suspect some will find the game leans too heavily on JRPG tropes at times, but the writers and translation team have an uncanny knack for making it all feel fresh through their highly specific scenarios. 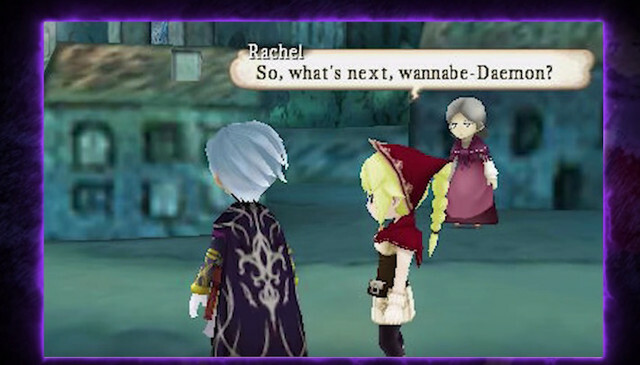 Speaking of keeping things fresh, your first experience with The Alliance Alive is going to be fascinating. This is because progression is not a matter of travelling from point A to point B on the overworld. The game is full of minor choices that will not affect the grand outcome of the plot, but may well shape your perception of it. During Vivian’s mini-story, she will encounter a group of adventurers that is overhunting monsters. You can turn a blind eye to avoid conflict, knock some sense into the hunters, or be the ultimate hypocrite and slay everything with a pulse. Whatever you choose, it winds up having ramifications later, especially where difficulty is concerned. This feels so special because mainstream JRPGs like Pokémon often employ functionally useless dialogue choices that rarely affect events beyond an alternate line or two. You’re occasionally given theoretical “options” to rebel or get sassy with your tone, but you’re ultimately banned from going off script. In The Alliance Alive, you get a richer experience that is tailored to the personality of the player. Depending on how you play your cards in any given situation, you might recruit new characters, get extra weapons, or discover new details. There’s always going to be a trade-off, though; think back to how the original Fire Emblem forced you to pick between recruiting Samson or Aran into your army, not both. Best of all, these choices aren't about achieving alternate endings or mutating the narrative's themes and structure. They’re just minor opportunities to flesh out the world, discover fresh perspectives, or meditate on the morality of your characters’ actions. Just don’t go into this one with a completionist mindset or you’ll be driven bonkers. The story is also enhanced by a mundane little inclusion: the ability to pause, skip, and rewind cutscenes. It allows players to bask in the dialogue and characterisation of key moments or skip that pesky repeating cutscene preceding a tough boss. 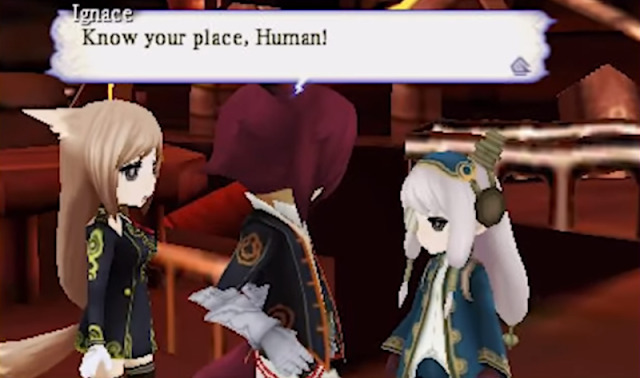 Minor as this feature is, I feel it embodies what The Alliance Alive is striving for with its gameplay as a whole. It's not about reinventing the wheel but rediscovering why the JRPG structure is so timeless. It achieves this through methods that, in hindsight, are so undeniably intuitive it's baffling why other developers don't try them more often. The battle system takes this to heart by being streamlined but complex. It’s reminiscent of the SaGa games and The Legend of Legacy, but in many ways is its own animal. Your objective when fighting is not the acquisition of experience points. 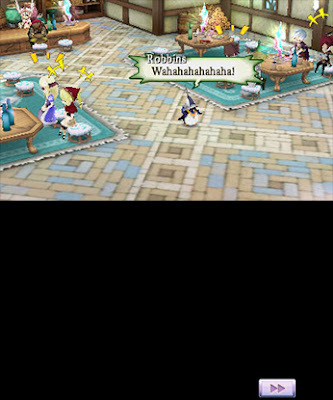 In The Alliance Alive, leveling up does not increase your physical prowess besides boosting your health points ever so slightly. Rather, the idea is to acquire talent points, a currency used for building and customising characters according to your play style. You can increase how many skill points (used for executing special attacks) you regenerate, make it tougher for enemies to see you outside battle, lower the cost of weapons in shops, or enhance the rate at which you learn new skills with a specific weapon. The options are multifaceted and interesting, so you’ll find yourself experimenting right in the game’s earliest chapters. It’s also worth mentioning that, because characters don’t increase in physical power, their default stat lines matter much more. You can get by with merely slapping a sword onto most characters, but a slower, bulkier character might be better suited with an axe. The answer is not always clear since you can have basically any character fill the roll you want them to, particularly since you’re allowed to bring two weapons into combat. Maybe you’ll find that a healing skill is actually worthwhile on your heavy-hitter. Every time you fight, your character has a chance to “awaken” and learn a new combat skill on the spot. What skill they’ll learn depends entirely on the type of weapon they have equipped. This is a brilliant shakeup because it means you’re not spamming the same attacks over and over for the game’s duration. Fighting random enemies is always an opportunity for discovery since you can find out what weapon is best suited for a character, enhance your skills in and out of battle, or learn a new technique that’s handy for that upcoming boss. The combat structure has many ramifications. One is that procuring strong equipment is vital, since grinding all the talent and HP in the world won’t make you stronger, only more efficient. Likewise, some spells must be acquired in the overworld and can change the tide of battle dramatically. You’re also able to change your party’s formation on the fly, which can occasionally be the difference between a fight seeming impossible or quite simple. Shuffling around formations is fairly common in JRPGs, but it has additional depth here due to the customisable characters. 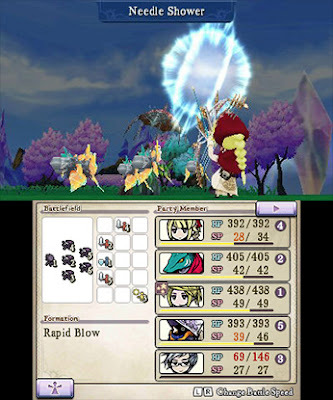 This idea of playing wisely forms the philosophy of The Alliance Alive’s combat. That’s not to say the game is starved for the more cinematic elements of the genre, however. Should you engage in enough combat, you’ll gradually build up a meter for a super attack. But as the narrative hammers home, there are consequences for strong actions. Said techniques are actually sacrificial blows that bust your weapon immediately and, as such, are meant for tight situations. If your party members are all dead and you haven’t saved in a while, it’s time to let loose…provided you’re willing to part with that fancy knife. There's a greater sense of weight to this than your standard meter-charged limit break attack since it comes at a grave price. There’s also some calculated chaos in the form of guild assistance. Every now and then, a guild you’ve allied yourself with may fight enemies for you by pouring out ridiculous firepower or afflicting special effects such as debuffs on your foes. Thankfully, the game does also understand that not everyone plays JRPGs for the combat. As such, the pace of battle is dictated by the player. You can make random encounters into longwinded, cinematic affairs or reserve that approach for boss battles. If you're trying to grind some talent points for fun, though, you can multiply the speed of battle several times over and skirmishes will end in the blink of an eye. As a whole, the game goes for an "all killer, no filler" approach with very little in the way of handholding. The mechanics are intricate but straightforward enough to intuit without tutorials marring the story's pace or your freedom to explore. By the very first dungeon, the developers trust players enough to pick between tackling the game's plot head-on and biting off more than they can chew with optional, tougher scenarios that provide long-term rewards. Linking the tremendous combat and story together is the overworld I mentioned earlier. Because the story begins by shuffling between parties in their own starting areas, it takes some time before the protagonists can explore freely. 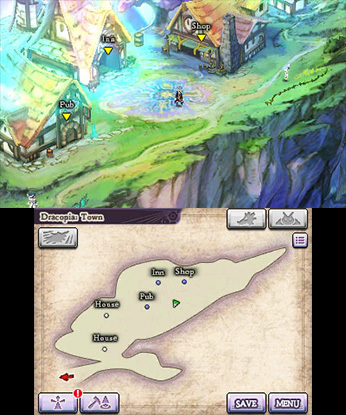 Even so, these smaller regions offer plenty of townsfolk to meet, items to find, and secrets to discover. Don’t think the journey will be easy, though. Because characters don’t “level up” in the traditional sense, the world can be filled with challenging monsters and side bosses that don’t adhere to a difficulty curve. The dynamic possibilities of the battle system allow you to box outside your league and thereby feel real danger when exploring. In the early going especially, this weakness and struggle to survive puts over the oppression that Galil and Azura feel traversing a dangerous world on foot. When the time comes, the overworld transportation options are surprisingly robust. This isn't a NES Final Fantasy where piloting a ship is just a faster, safer way to move around. Instead, you've got vehicles like the Ornithopter, which is used to glide from high places and has to be used dexterously from appropriate vantage points. The vehicles certainly get odder as you progress, yet never fail to be thematic and unique. It’s worth mentioning that there are no random battles; you can sneak up on enemies or be hunted down from behind like some 90s JRPGs and many modern ones. This again, combined with the aforementioned enemy evasion skills, means you don’t have to invest all your time into combat. 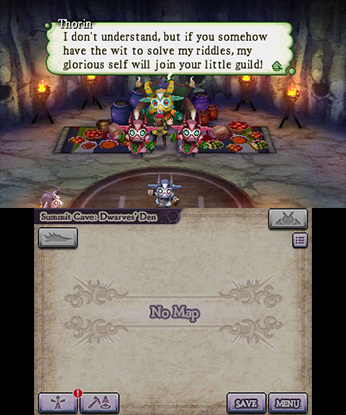 Although The Alliance Alive definitely feels vast in scope, it deeply respects your time and offers alternative methods for victory. An early example of this occurs in a Daemon dungeon. If you're rich enough, you can pay workers to complete a series of block puzzles in your stead. I enjoy puzzles in my JRPGs so I didn't opt to avoid them, but those more invested the story can prioritise accordingly. Similarly, you can buy the map for a dungeon or ignore it outright, thus having to deal with trickier exploration and the possibility of getting lost. Besides this, the game is full of minor courtesies such as letting you teleport back after a lengthy quest or take the scenic route. The side features are well-developed, including one that allows you to construct guilds and expand them all over the globe. It’s definitely a worthwhile feature since it lets you recruit NPC characters from across the game's world, but you can also get by just relying on your core team. Combine this with previously mentioned time-cutting features (battles can be sped up and grinding doesn’t matter) and you’ve got a JRPG where nearly every minute is actively engaging on some level. While the game could probably guzzle your free time for a month, nothing about the design outright compels you to do so. It’s your choice whether to play smarter or harder. In this age of high-investment, 100 plus hour JRPGs like Xenoblade Chronicles 2 and Persona 5, The Alliance Alive is an alternative that lets players trim any fat whilst keeping that mouthwatering steak intact. Playing for speed is not inherently inferior. Lastly, the tone of the entire experience is bolstered by the musical talents of Masashi Hamauzu. After composing JRPG soundtracks for two solid decades, the man’s expertise is showcased from the game’s earliest moments. The piece used in the starting town perfectly captures the meandering melancholy of a land exposed to endless rain for 1000 years. The subtle transitions between tracks in the quieter regions of the game can be so fluid you don’t notice the song changing until it hits you. Hamauzu’s ability to pack multiple conflicting emotions into one track is as potent as ever. Boss battles and moments of intensity can go for a more orchestral and uplifting vibe, but even the high-flying tunes have layers of elegance and methodical buildup that result in a cohesive feel for the entire soundtrack. It’s one thing to produce a video game that happens to have catchy tunes and riffs, but this degree of consistency and attention to tone is worth celebrating. The Alliance Alive invokes the finest elements of the JRPG genre, modernizes them, and innovates where necessary. Its gripping fantasy plot can be worshiped for its emotional center or parsed for statements on equality, order, and free will. Whether or not you enjoyed The Legend of Legacy, this one stands as an authentic classic that captures the majesty of a Super Nintendo/PlayStation era masterpiece while also gazing forward.